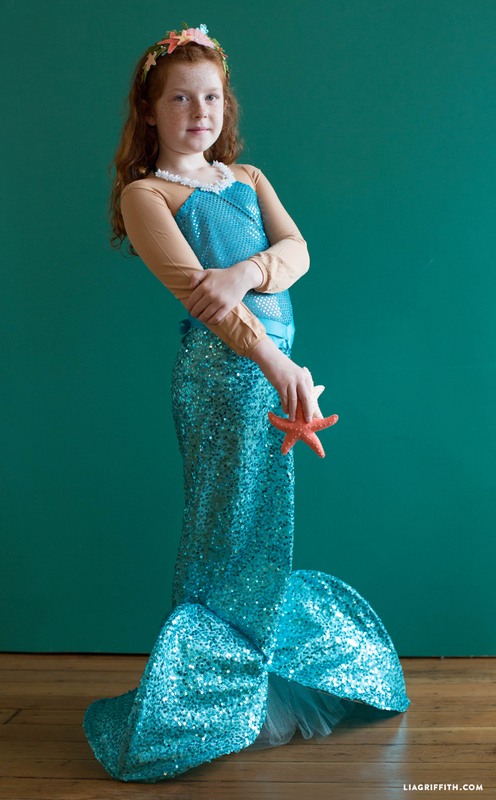 Does your little one love mermaids? 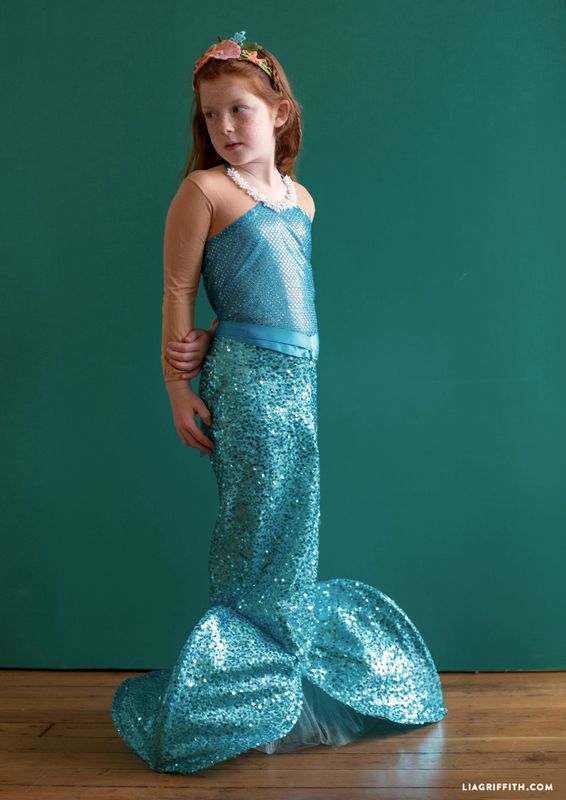 Then we think she’ll be super happy with this DIY mermaid costume! All it takes is some simple sewing and stitching. 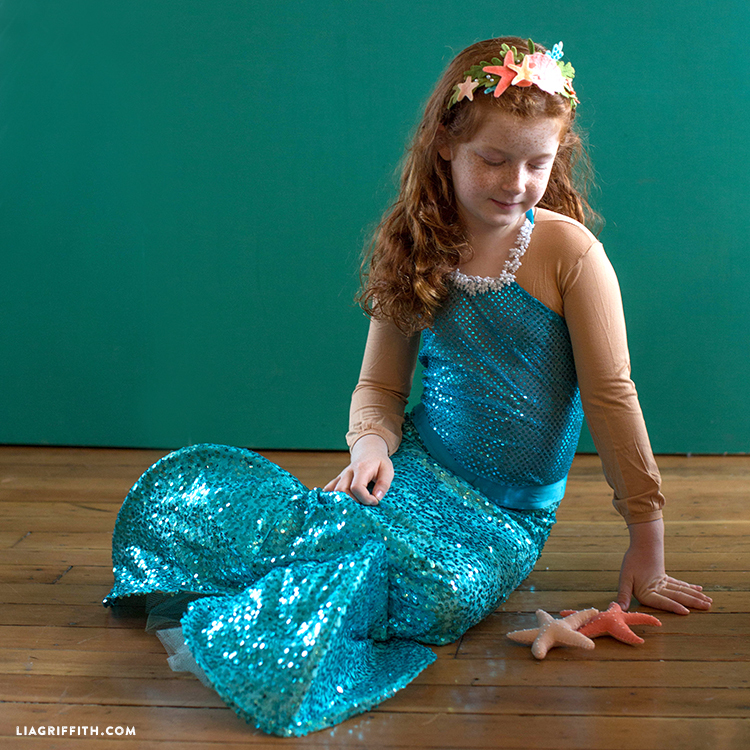 This DIY mermaid costume—including the headband—is very easy to make! 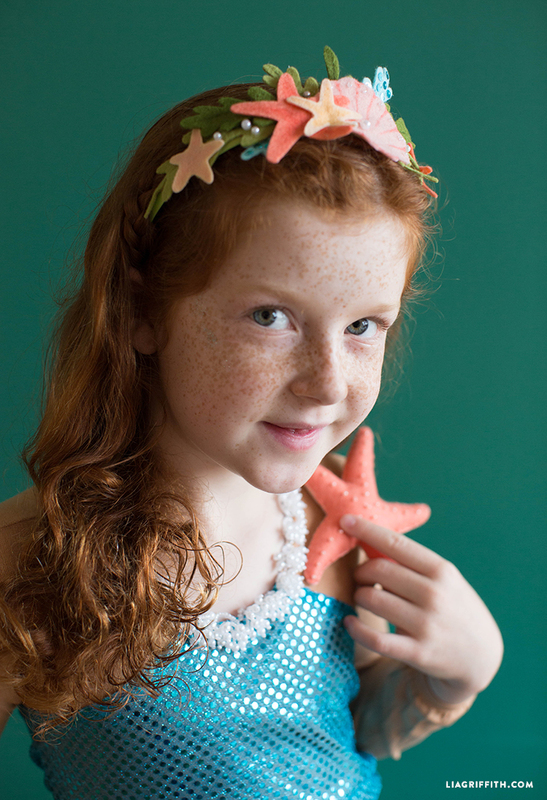 We found our pretty sequin fabric and taffeta sequins from Fabric.com. Browse their online selection for a wealth of festive fabrics… great for all of your costume crafting needs! 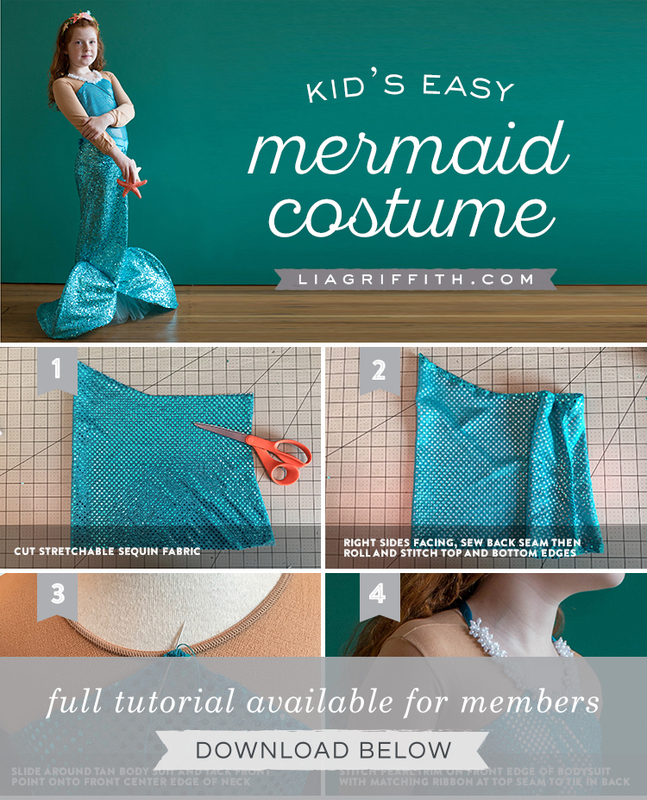 When you’re ready to make this costume, gather the tools and materials listed here and follow our photo tutorial. 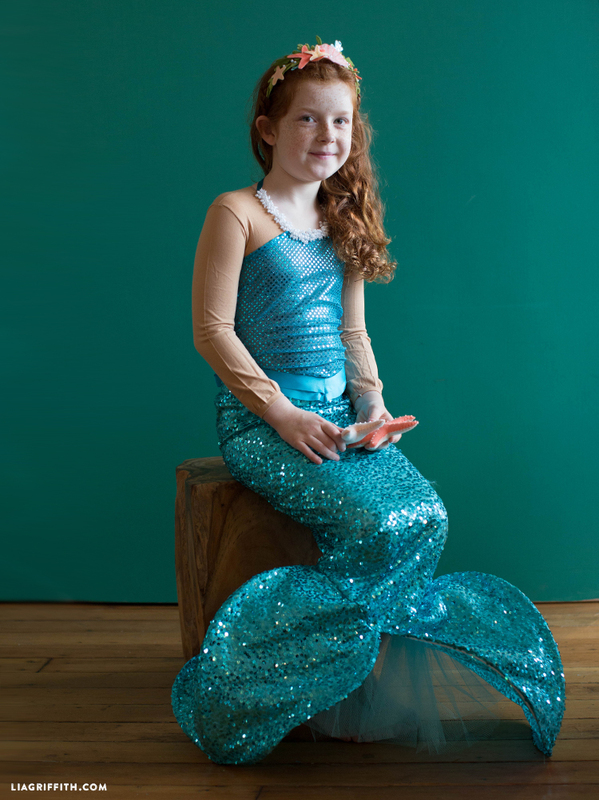 You can find the pattern for this mermaid costume (in four different sizes) at the end of this post. Please note that you will need to print this particular pattern on 11″x17″ paper.